A host of top pros have been scooping up the trophies in Prague as they seize their final chance at EPT glory. Nearly all the major events so far have been won by well-known players. The roll call of honour includes Nick Petrangelo, Sam Greenwood, Isaac Haxton and Tom Hall –players who have already banked millions between them even before arriving in the Czech capital. 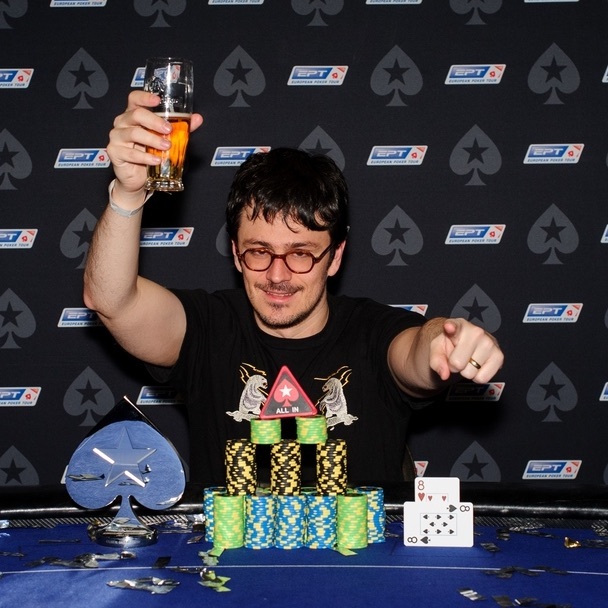 Former PCA runner-up Isaac Haxton beat a star-studded field (and Julian Stuer heads up) to win the prestigious €25,000 Single Day High Roller for €559,200. His live winnings now total a staggering $12.6 million. The event was so popular that players suggested adding a second one to the schedule; Canadian pro Sam "Str8$$$Homey" Greenwood took it down, beating French veteran Jean-Noel Thorel heads-up. He won €226,600 and now has over $4.5 million in winnings. American pro Nick Petrangelo beat Steven van Zadelhoff to take down the €2k NL event for €64,600, bringing his live winnings so far close to $6 million. British pro and commentator Tom Hall won the record-breaking 889-strong Eureka €2k High Roller for €194,357 and now has $1.3 million in live tournament cashes. Czech casino owner Leon Tsoukernik, the 2014 European Poker Awards Industry Person of the Year, beat British wunderkind Charlie Carrel heads-up to win the €50k Super High Roller for €741,100. It was only his second live result but, as the multi-millionaire owner of the largest card room in Europe - King's Casino Rozvadov - he joked during the tourney that he has already earned more from poker than any of his opponents. Stefan Schillhabel from Germany won the €10k event, beating Spanish whizz Sergio Aido heads-up, for a first prize of €248,046. His winnnings now exceed $2.2 million. Perhaps the only player who is not yet a star (but still ranked 28th in Poland’s all time money list) was Hubert Matuszewski who beat a 2,031-strong field in the last ever Eureka Main Event to win a career-best prize of €193,298.